School Work is a photographic account of the activities performed by the staff in an outstanding secondary school. School work is an important insight for both educational practitioners and the general public alike. It challenges the reader's perception of how a secondary school works and provides a valuable insight into the processes which are vital to the delivery of outstanding teaching and learning. Swanlea School is located in Whitechapel in the London Borough of Tower Hamlets, one of the most deprived boroughs in the United Kingdom. School Work explains, through its highly original format of photography how the contribution of staff at all levels and in all types of activity helps to achieves the highest level of performance as measured by Ofsted. 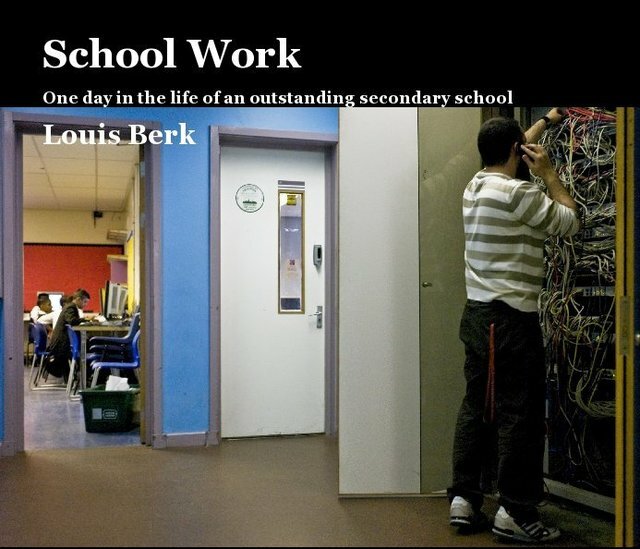 Louis Berk is a photographer and secondary school teacher working in the historic Whitechapel area of London's East End. He has published several books of photography including "Walk to Work" a study of the fragile hinterland of Whitechapel and "School Work" a unique photographic study of an outstanding inner-London secondary school. His third work, "Ampthill: A Picture Book To Remember Her By" has just been published and is a study of the context of architecture in the cityscape. Louis has had his work regularly published in magazines, newspapers and books. He has won several Honourable Mentions in the International Photography Awards spanning the last 5 years. In 2010 he won the "Life Between The Lines" competition run by London Underground and the RSPB with his picture "Bee Hunting for Pollen in an Artichoke". Louis specialises in Urban Landscape photography and particularly enjoys finding and recording hidden historical gems around London where he lives and works.